Learn how to access the Global Link website by clicking here. Please do not ask how to access Dream World in this thread. Use the above link and ask questions there if need be. This thread is for Dream World exploration. Thank you. I'll need a screenshot to add it as confirmed. Please list the attacks as well. Thanks to everyone who has contributed so far! 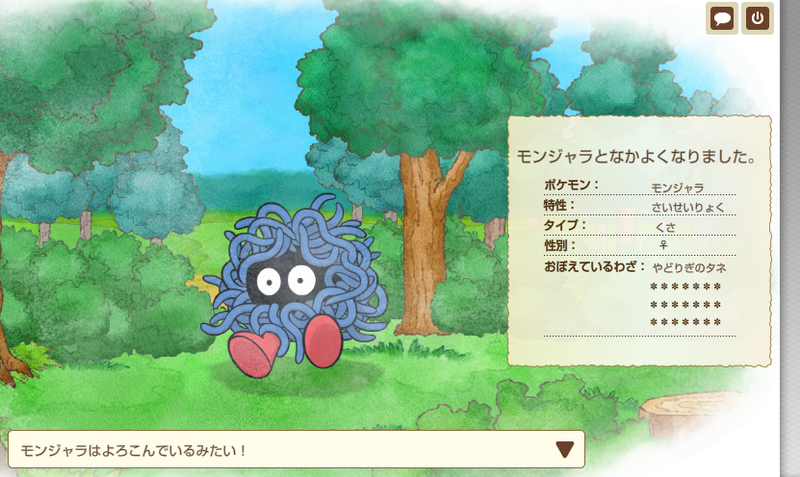 And special thanks to Spoit for a huge update, and adding Japanese move translations as well. 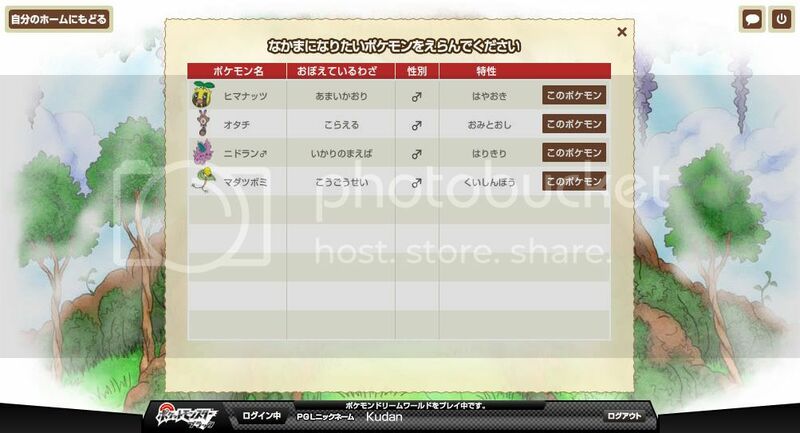 The screenshot for Bellsprout, Nidoran(M), Sentret and Sunkern. I'm not sure if it'll be of any help but I'll post results about whether the nature is set or not once I'm done resetting a few times. It also seems that Nidoran(M) has a total of 4 moves though I'm not sure if the other 3 are DW exclusive moves or not as I've only glanced through them. Perhaps you could include a guide, link to video, etc. in the OP as to how to use the DW, for those who want to test but cannot read Japanese? EDIT: Here is a video, courtesy of KazoWar, showing how to sign up for and access the Global Link. As Dream World was down when he made it, it does not show what to do once you access it. Not sure on the game-end. Hopefully someone can fill in. Cloud Nine Lickitung. In-game he only has standard moves of Lick, Supersonic, and Defense Curl, so no need to back up anything except the ability. Edit 2: Here we are! Here's my Mareep I caught today. I'll add the moves in a moment. Sorry for the bad quality. I'll post a new image tomorrow from the website. Can't access it twice in a day. You can see it has Plus. I also met Doduo and Sentret if that matters. Couldn't get a picture of them because I did before this thread was made and all. But both Hamstern and Kudan have met Sentret. Has Hustle, which most likely becomes Encourage when it evolves into Nidoking. One surprising thing I found out is that you can catch DW pokemon with any pokeball (tested with 2 premierballs, 1 ultraball, 4 pokeballs) all caught without fail, as can be seen from that Nidoran that it's in a pokeball. You can sr for the nature as you can't save when you are in High Link, but you can before you enter and it does not force you to save after catching a DW pokemon. 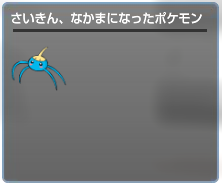 However, synchronize does not seem to work. Edit: Also if for some odd reason that some do not like text or video tutorial of how to sign up for a Global Link account, here's an image version. Were the Dw attacks not able to be ripped from the rom data the same way the abilities were? Nope, Nintendo can give whatever attack they feel like online. 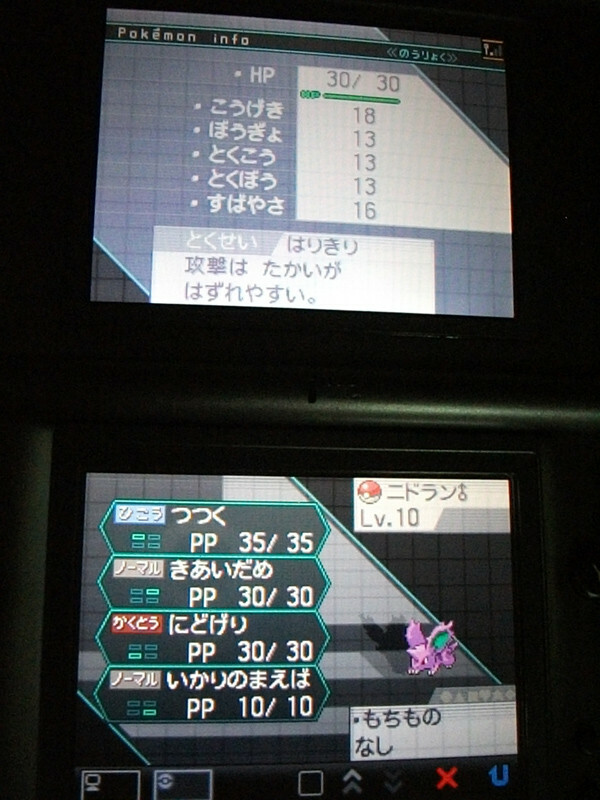 It has RainDish but no new attack, just Bubble and Quick Attack. 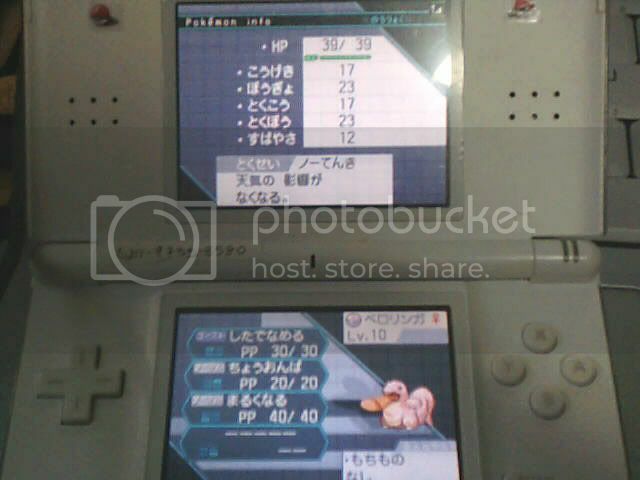 I caught it with QuickBall instead of DreamBall, not sure if this makes a difference. Actually I'll check, havent saved after catching it. EDIT: nah, it's the same. I was wondering that too since I found pretty much nothing in my Black, but an accidental experiment in White helped me figure it out! Here's the button I'm talking about, the brown one below the step counter. That's pretty nice. That will ensure that you meet at least one Pokémon. But I didn't do that. I just met three Pokémon. No problems. Just a suspicion, did you win the mini game you played with that pokemon? You might be onto something there. I won over my Mareep and it got Shock Wave. You get points, so unless it shows somewhere how many you need I dunno. I didn't know the DW pokemon got special moves too. There's hope for you yet, Flareon. And Zebracantsayit. I can confirm Surskit with Hydro Pump and Rain Dish. I can confirm there is no need for any serial number from the game or manual. 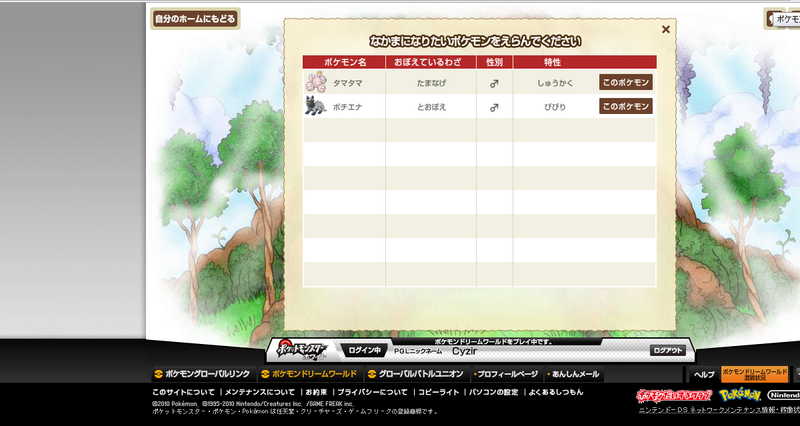 The only code you need is the one generated by the game to create your account at pokémon-gl.com.